For many of us, the traditional model of mentorship—a one on one top-down relationship with someone in our field—does not always provide the best support and inspiration needed for success. 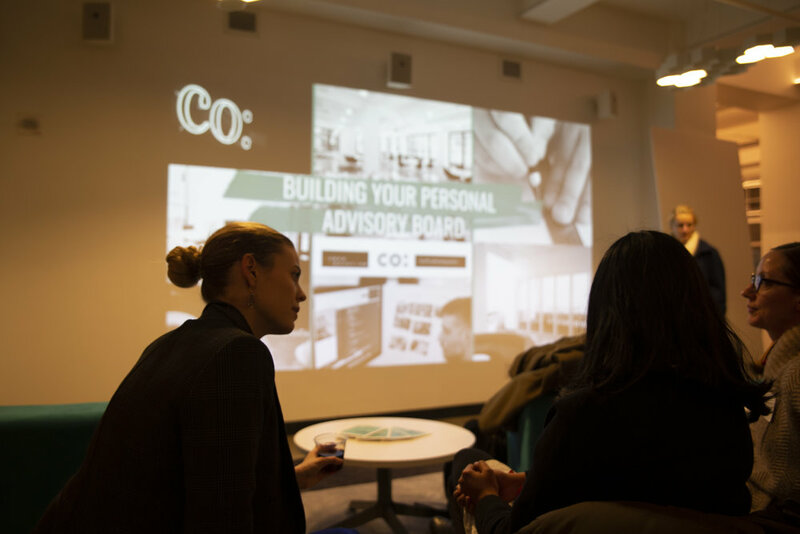 For the last WIN event of 2018, WIN NYC and co:collective addressed the traditional mentorship model in a workshop, and designed a set of improved ecosystems we can all consider as we build relationships needed to thrive in an innovation career. WIN President and co: Chief Curator Kit Krugman kicked off the workshop by sharing some of the startling realities women in innovation face, including that 97 percent of the world’s most innovative companies have male CEOs. It’s no wonder that building something beyond the traditional mentorship model—a “Personal Advisory Board”—is vital for women in our field. 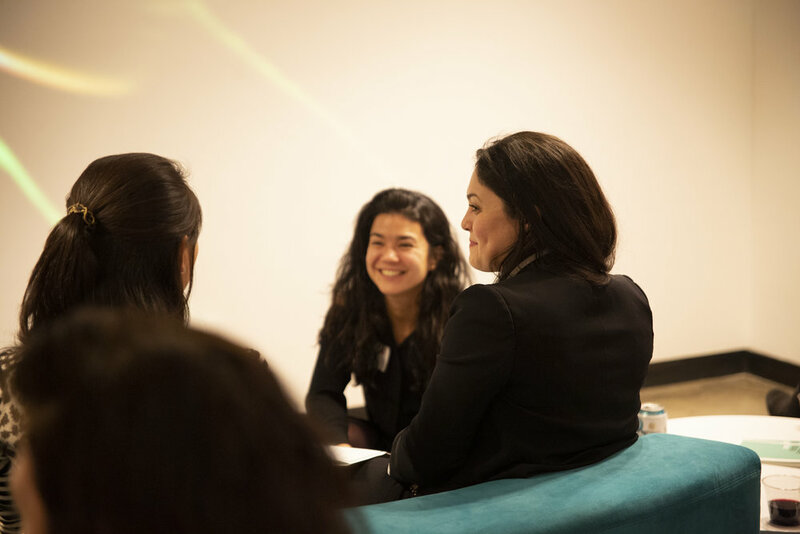 Victoria Foster, Co-Founder of FutureWomenX, and Elsie Iwase, Lead Strategist at co:, introduced this topic and began the evening’s activity. 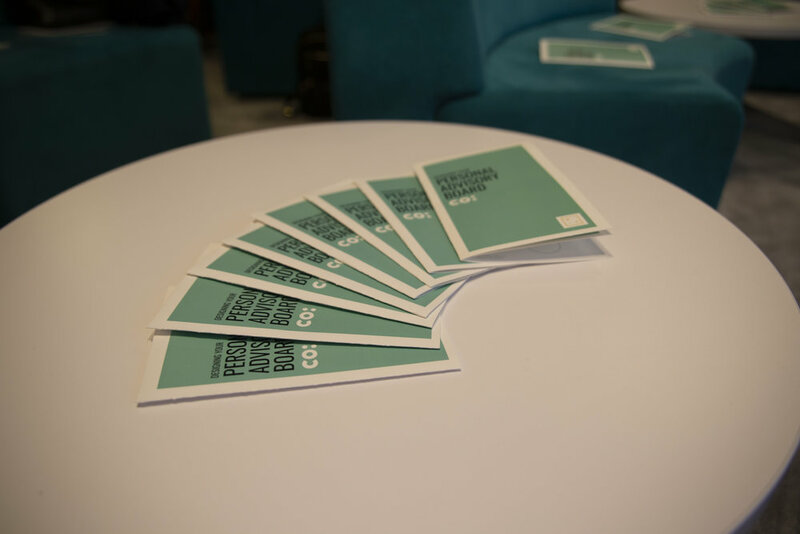 Read on to learn how we created our own Personal Advisory Boards, and how you can too. To begin, we mapped out our current community of advisors. If we are lucky, there are a number of people in life who we turn to for advice. This exercise focused on identifying the advisors we use for different purposes—who is a peer who supports us in our job? Who gives us great feedback at work? Who challenges us? Whose thought leadership do we admire? Who do we consider a mentor? For many women, the answer was a friend, a colleague, a boss, a mentor, a partner, or even a family member. By answering these questions, we began to understand our current network and built a consolidated list of people we rely on most frequently for advice, guidance, and inspiration. In answering these questions we rejected modesty and dreamt big to envision the infinite possibilities of what we can and want to achieve. After ideating about the future, we thought about how to align with our story by naming good behaviors we want to start doing, bad habits we want to stop doing, and helpful actions we want to continue doing. Ideas might be starting a side hustle that utilizes our strengths and brings in income, stopping second-guessing what we want, and continuing exploration of a career transition into product management. In Part 3, we thought about our toolbox and what skills we need to bring our story to life. For each behavior we want to start, stop, or continue doing, what skills, resources, and support do we need to accomplish these goals? We thought about skills that would allow us to supercharge our impact and what blockades we need to clear to bring our dreams to life. Finally, we were ready to build our Board. Revisiting the questions we asked ourselves in Part 1, we named the people in our network who can help us answer our needs. These people will be tasked with keeping us aligned with our story, which means the more specific the asks for each individual the better. For this step, we considered what each individual can do for us and created a plan for how to best engage with them. Our Board should come from diverse backgrounds, help us close our experience gaps, and offer us new perspectives and feedback. The final step was activation. We thought about how we will begin crafting our Personal Advisory Board and when we will do it by (pro tip: Set a realistic and specific date for activation, maximizing the chance you will meet your goal!). Your Personal Advisory Board exists not to tell you what to do but to give you new frames for the future. With the guidance and support of your network, you are a step closer to building the future you envisioned and leading women in innovation. Here’s to more of that in 2019! Written by Emma Anderson, Katie Oberwager, and Katie Burwick. Huge thank you to the team at co:collective.